Happy Thursday! I can't believe it is the middle of May and school is almost out...it always amazes me how time has a way of flying by, and it just seems to go faster and faster the older I get. We had almost 9 inches of snow on Mother's day and thankfully things are back to "normal" around these parts, nice and springy. Anyway...I have a fun and super easy project today. 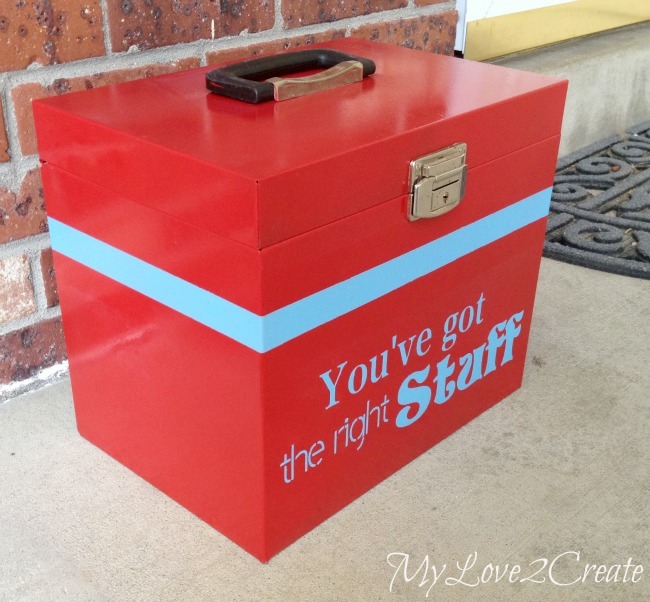 A Metal Box Makeover! So fun right? 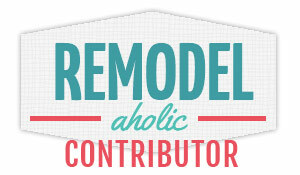 You have to see the before to really appreciate it though...and since this is my contributor post for Oh My! Creative you need to click on over to check it out. Thanks, and I hope you are enjoying your May! Step by step, you've got the right stuff! You're Hangin' Tough! Ha! Sorry, I could not resist. ;) Okay, going to pop on over. Hee-hee. Wow! I saw the before! Great re-do. I've passed over many-a-boxes due to their terrible condition. It never occurred to me to paint the darn thing! Lol! Awesome job! Great job Mindi! Love the red, cool way to save it from the trash! And to think I scratched my head forever at a garage sale last week, deciding if I should get a big metal box like this and I finally put it back. Doht! Pinning to the Trash 2 Treasure Highlights board. :) Thanks for sharing, you're stuff is always so inspiring! Now Im going to have that song stuck in my head all day ..... baby!! Loved this transformation and the phrase you stenciled it perfect! This would make an awesome Father's Day gift too! Thanks so much for sharing at my Creative Ways Link Party! Hope you'll be back this week with more great projects! 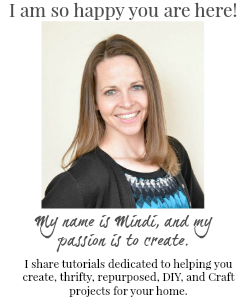 Wow, great makeover Mindi! You're right, the before photo really shows all the hard work you put into it! Hope to see you again at Creative Spark Link party!